Women and Their Shoes - Schwartz has added a new series of portraits featuring women posing with their favorite shoe or boot . It’s a unique series where women send Schwartz a picture of them and the shoe and Schwartz does the rest in about 4 weeks . The portraits make for a very unique gift ! WOMEN AND THEIR SHOES - PORTRAITS OF WOMEN POSING WITH THEIR FAVORITE SHOE. MARK SCHWARTZ FREELANCE DESIGN SERVICES . With an office in the Pisa area of Italy and some of the worlds best factories , I am able to develop samples and do production . 35 years of creativity in shoe design and production . - Find the right shoe factory for production based on the product to be developed. - Coordinate and supervise fittings and adjustments to samples, sign off samples, ensure fit and quality is up to the agreed standard that all samples arrive on time. - Work within given budget for development of prototypes, sample collection, investment of moulds, leathers, accessories, etc. - Negotiate prices, advise suppliers on target prices to arrive to recommended retail price. - Ensure all samples arrive in time and to required standard. - Plan production with suppliers, communicate minimums, cancellations and adjustment to orders. - Follow production, communicate any change and solve issues that may occur in the production line. 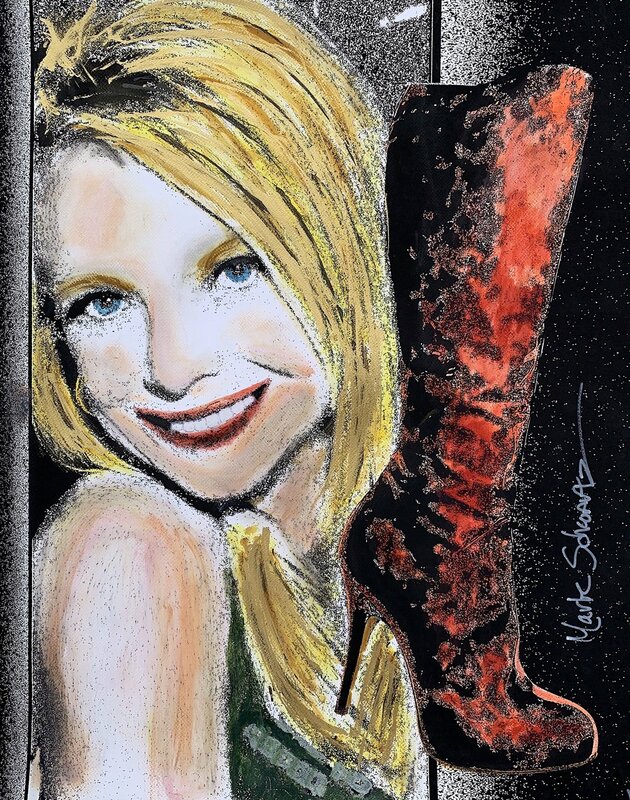 Women posing with their favorite pair of shoes by Mark Schwartz #womenandtheirshoes,#women,#iloveshoes,#shoeaddict,#andywarhol,#markschwartzshoes,#art,#rogervivier,#paintinsofshoes,#shoepaintings#watercolorshoes.